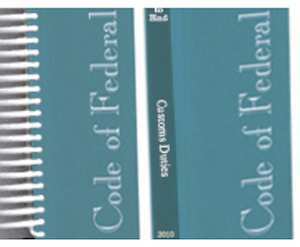 This is a formal large print format of Title 19 CFR 2019 edition, Parts 0-140, and 141-199 with no supplements, which is available by online order at US Government Bookstore . 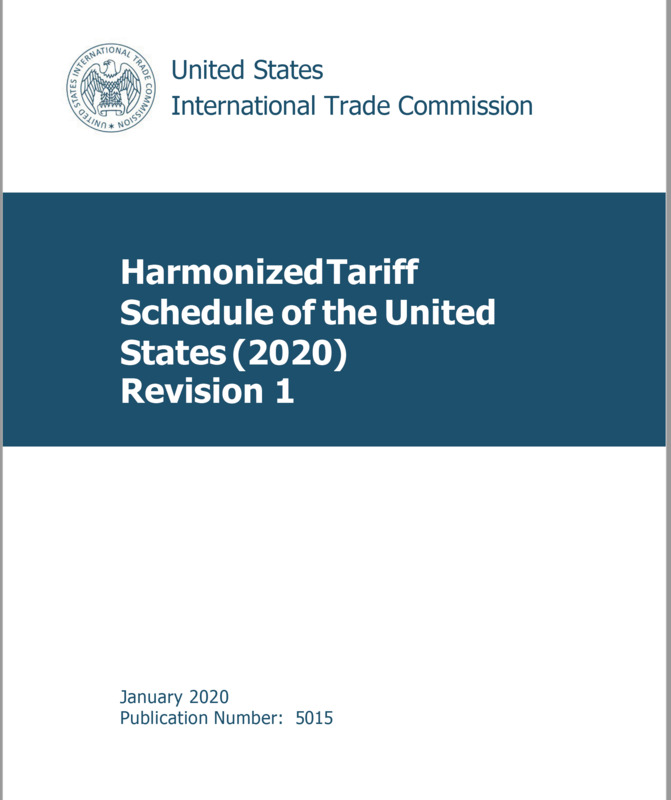 This is a formal large print format of HTSUS 2019 edition, available by online order at HTSUS 2019 Edition, US Government Bookstore . 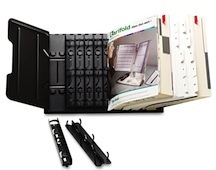 The HTSUS and 19 CFR will be best used and searched during the exam if you place them properly on a catalog rack. 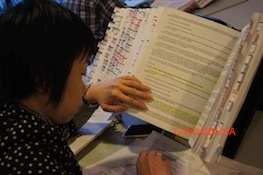 You may gain or save 10~15 minutes if you arrange all reference materials on a catalog rack . A catalog rack is a metal stand that will hold everything upright for you, available at amazon.com and ebay.com. 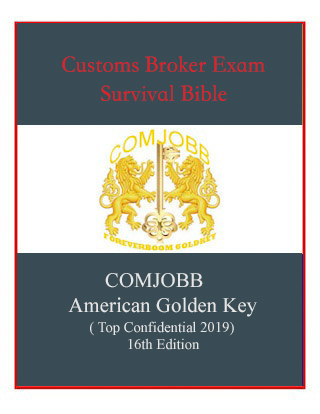 Very useful and powerful exam room guidance containing all recent real exam questions, answer keys, most important regulations and facts, compiled and edited by ComJobb American Golden Key. 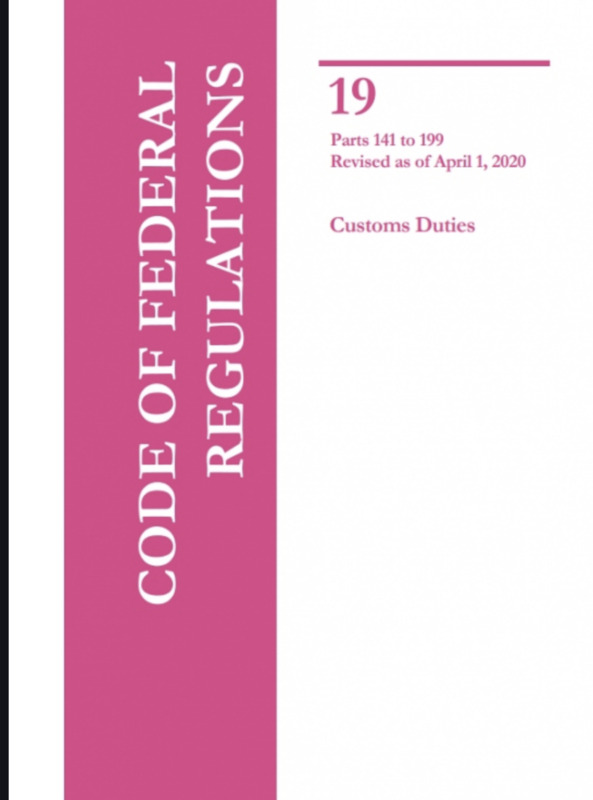 Articles Conditionally Free, Subject To A Reduced Rate, Etc.